I want to offer my congratulations to Catherine Doyle on the publication of her first novel, Vendetta (Blood for Blood). Catherine is a young author (24 yrs. old) from the west of Ireland, and judging from this first book...all I can say is wow! 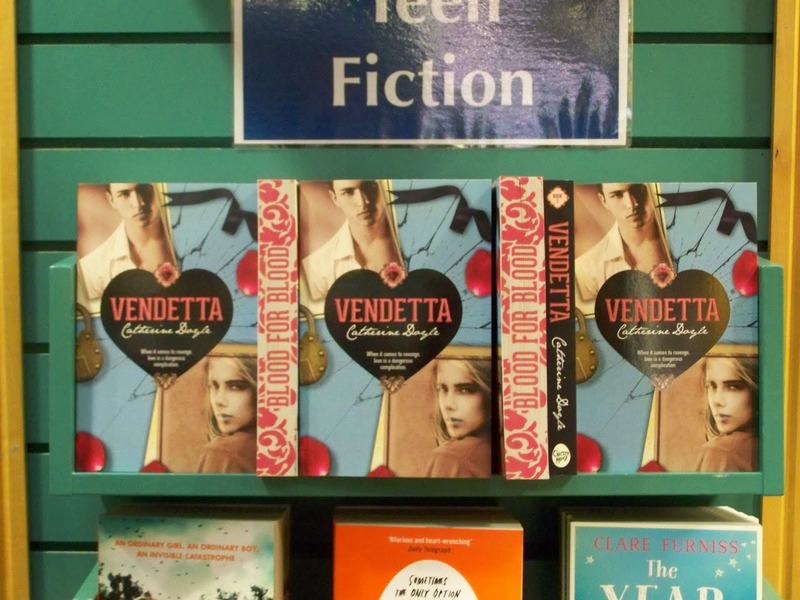 Vendetta is an intense crime-thriller with allusions to Romeo and Juliet that will leave your head spinning. Family loyalty, love, and revenge are stretched to the limits by the brilliantly drawn characters. Fantastic! Dangerous, captivating, feverish and poignant; Vendetta promises much, and delivers. The first of a trilogy, I can't imagine what will happen next. My review is up on the Young Adult page on this blog. I would recommend it for readers 14 yrs+...it's gritty and heart-stopping. So congratulations Catherine...and thank you Chicken House! A very welcome addition to the young adult reads...different and brilliant! The Costa Book of the Year Awards were announced today. Big, big congratulations to Kate Saunders for winning in the childrens category with her incredibly wonderful title, Five Children on the Western Front. 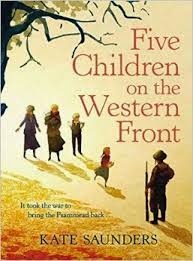 Moving, fascinating and written in the tone of the original, Five Children on the Western Front stands apart as more than a sequel. Saunders has explored the character of the Psammead in depth, giving him a foundation, background; a history with a critical role to play in more than we could have expected. But this has not burdened the story. A heart-felt, compassionate and intriguing tale, Five Children on the Western Front is a thoroughly deserving winner. Follow the link below for a fascinating interview with Kate Saunders, as she talks about her inspiration. Happy New Year! I've been off the blog since Christmas Eve, but I do want to thank all of you who have been following Fallen Star Stories and continue to check in and have a read of my musings, sparse though they may be at times. Board books are frequently overlooked, but they are some of the most important books your children will ever get. They set a precedent. It doesn't matter that the baby is 'too young for books' (NEVER!) or that they will only chew on them. They are a childs first real introduction to books of their own. In nearly every study shown, a childs favourite activity surrounding books, reading and literacy in general is to have their own books...and it starts here. 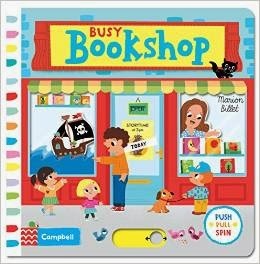 One of my favourites of 2014 is a little title published by Campbell books; Busy Bookshop by Marion Billet. With wheels to spin and tabs to pull, your baby will love the interactive quality of this book. Bright and colourful, it's a great introduction to the world of bookshops and all they hold. It's gentle rhyming text makes it a pure joy! Pop-up books are wonderful, but the expense of their production is making them very hard to find. 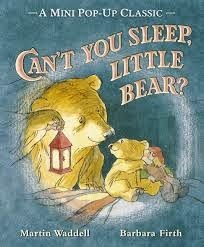 There have been a few out this year, however and a big thank you goes out to Walker Books for making these classics by Martin Waddell available in little pop-up book format.Can't You Sleep Little Bear? is a timeless story. 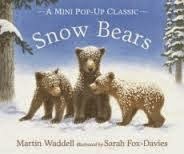 The other, Snow Bears is the perfect winter tale for young children. The gorgeous pop-up format makes each page a surprise for the youngest readers. You know how I love picture books, and so many wonderful, beautifully illustrated titles were published in 2014; it makes it very difficult to pick out favourites. 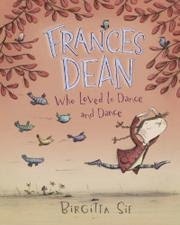 But I would have to start with Birgitta Sifs' new offering, Frances Dean Who Loved to Dance and Dance. This heart-warming story of being yourself, acceptance and finding joy is one that everyone (not just children!) should have. 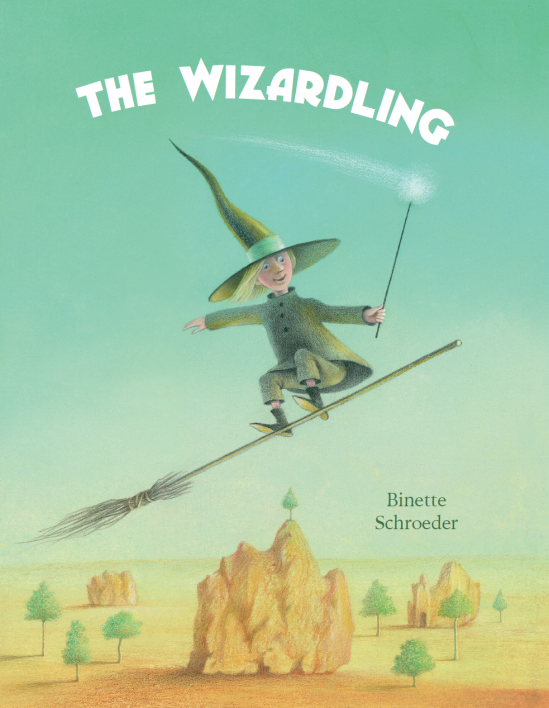 I would also add The Wizardling by Binette Shroeder (translated by Siobhan Parkinson; published by Little Island) to my faves...a magical tale of a young wizard exploring the world which pulls in some time-honoured fairy-tale characters. This one is not just for Halloween. 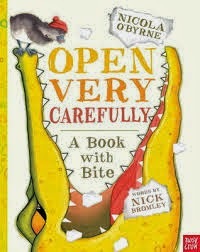 Another picture book that begins as an old familiar fairy-tale (Hans Christian Andersons The Ugly Duckling), then adds a surprising twist is Open Very carefully: a book with a bite by Nick Bromley and Nicola Byrne. When a crocodile wanders into the book, the reader has to work along with the duckling to get him out! Riotous fun! Docherty. A brave young rabbit sets out to find who or what has been snatching all the animals bedtime stories. 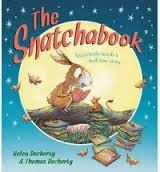 What she finds is a lonely little Snatchabook who has no one to read him a bedtime story. A real joy to read and share, this is one that brings us all together. I've made sure that every house in my extended family has a copy of this. I would be remiss if I didn't add Shh! 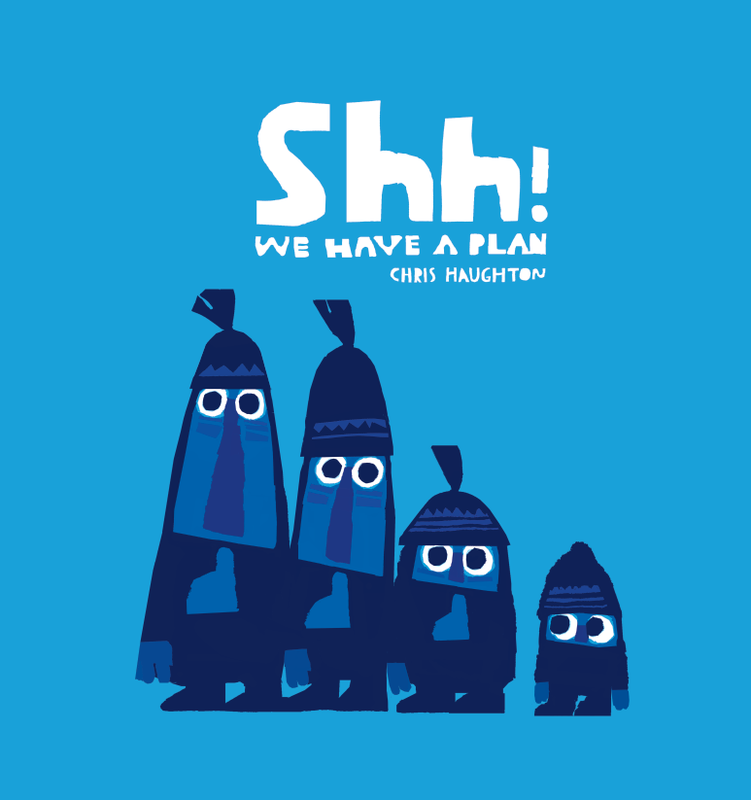 We Have a Plan by the incredible talent of Chris Haughton. Four friends out on a walk spy a beautiful bird. They simply must have it! Shh!...We have a plan! But plans to always go to....well....plan. The littlest of the all has the best idea. Filled with sumptuous, designerly illustrated pages, a simple text, and quirky humour, this is a great one for story-telling. Books for beginning readers and/or newly competent readers also get little notice. But a few stand out and are definitely ones to look for. 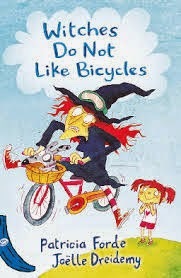 Patricia Forde has continued her 'Lola' series with Blue Banana books and the latest, Witches Do Not Like Bicycles is a real gem. With big sister Natalie stuck in bed with a broken leg, Lola has a plan to keep her from getting bored. It involves a walkie-talkie, a new imaginary friend, a pig, an elephant, a witch....and Natalie's new bicycle! Meddour and Mina May. 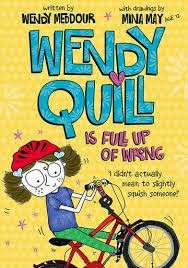 Wendy Quill is Full Up of Wrong presents nine-year-old Wendy with a moral dilemma when she accidentally squishes a little old lady with her new(ish) bike. At the time, Wendy fails to do the right thing... hilarious and yet at the same time moving....what person hasn't felt 'full-up of wrong' at some time? time when children are really examining their reading choices and letting us know what THEY want to read. There really is soooo much available to children now, it can be hard to choose. Picking my favourites of the year is....difficult. (I have an entire shelf full of 'favourites' from this year in this category. 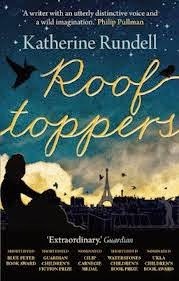 But, hands-down my favourite in all age groups and categories is Rooftoppers by Katherine Rundell. Everyone believes Sophie to be an orphan, found as a baby floating in a cello case after a shipwreck. Fellow survivor, Charles, who rescues her and takes her to his London home, becoming her guardian. But Sophie is certain her mother is alive, in Paris. Off they go to Paris to locate her mother and are joined in their search by the rooftoppers; homeless urchins who live above the busy streets. An incredible adventure; a beautiful, beautiful book...there is nothing I can say except, read it for yourself. 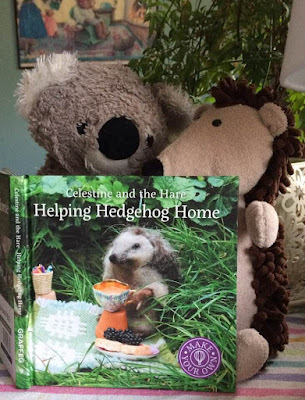 Children and adults will LOVE this book. If you've gone through all the Roald Dahl books and are looking for an author to fill in the gap, I suggest Philip Ardagh. His latest in the Grunts series is hilarious! The Grunts in a Jam sees the grubby Grunt family off to the county fair so that Mrs. Grunts' mother can enter her jam in the fairs' competition. But nothing is ever straight-forward with the Grunts. (They tend to misinterpret things a lot.) While on their journey, this time they encounter bad poetry, sabotage and wind up in prison. Nothing unusual there; they are the Grunts, after all. 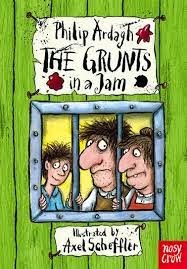 While each story is completely bonkers, it is also well-written with exceptional story-telling and the black and white illustrations throughout, by Axel Scheffler, no less, really make the Grunts a grungy delight. 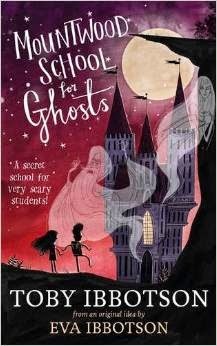 Mountwood School for Ghosts is the first book by Toby Ibbotson, eldest son of the brilliant Eva Ibbotson. A marvellous story, join the three Hagges as they found a school to teach todays ghosts and ghouls how to get their 'scare' back and, much to their surprise, save a town and its' residents from evil developers intent on razing the place for profit. Written with the same style and panache as his mother, Toby Ibbotson is one to watch. 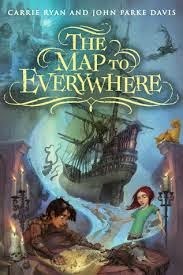 The Map to Everywhere by Carrie Ryan and John Parke Davis gives us a wild and fantastic adventure. Young master thief Fin has an unusual gift; when he's out of sight, people forget he exists. While a great gift for a thief, it does make life lonely and difficult. 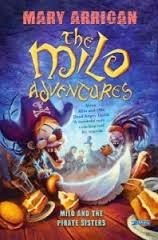 Schoolgirl Marrill accidentally boards a pirate ship in a car park in Arizona and is whisked away across the pirate stream. Carried off into a world she knows nothing about and needs to find her way home. This is world-building par excellence coupled with incredible story-telling ability. Fast-paced, brilliant fun and completely unforgettable, The Map to Everywhere will be read over and over again. 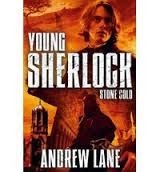 If you haven't started reading the Young Sherlock series by Andrew Lane, I seriously suggest you start. The latest installment, Young Sherlock: Stone Cold, sees our hero sent to Oxford after his last adventure to focus on his education. But it's never that easy for young Sherlock Holmes. Something very peculiar is happening in the schools' pathology lab. Body parts are being stolen and shipped, one-by-one, to a single address in London. Just as thrilling as the others, the Young Sherlock series is written with the same tone and style as the original Conan Doyle books, with language and interpretation suited to a contemporary audience. You may think you know all about Sherlock Holmes....but guess again! City of Fate by Nicola Pierce is simply exquisite. Based on the siege of Stalingrad during World War 2, it is moving, painful heart-felt and leaves the reader with many questions; many clear perspectives. With superb characterisation and an unparallelled historical accuracy, this is simply unforgettable. 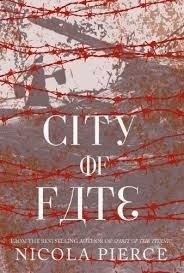 City of Fate leads the reader to draw their own conclusions...just....WOW! Bare with me...we're nearly there. Here come my teen/young adult novels of 2014. 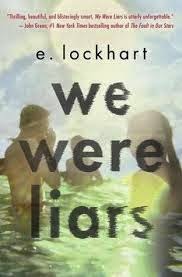 An intriguing, extremely well-written and beautiful tale of tragedy, loss, friendship and love, We Were Liars by E. Lockhart is one of those books that is difficult to express. It will leave you reeling, longing for more and with an interesting change in perspective. The only thing I can say about this one is read it. Read it now. magical realism that points to the likes of Alice Hoffman. 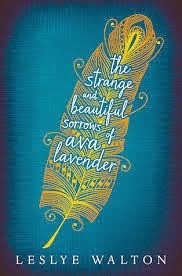 Born with the wings of a bird on her back Ava Lavenders' life was never going to be typical. And foolish choices in love seems to be a family trait. As Ava grows up, her desire to uncover what lies behind the peculiar family disposition and also, to join her peers lead her to venture into a wider world uncomfortable and suspicious of difference...with devastating consequences. A beautiful, thought-provoking constructed mythology. A Crack in Everything by Ruth Long has become one of my absolute favourite fantasies to recommend. The story is one we have all heard before; young woman accidentally finds herself wandering into the realm that lies next to our own, populated by the fae folk, angels, demons. But what Ruth has done with this formula is unbelievable! 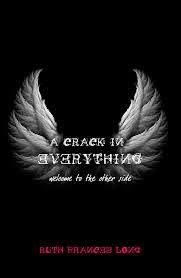 Izzy Gregory is chasing a thief when she stumbles across the ashes of an angel in a Dublin alley. Entering the world of the Sidhe, Izzy becomes a pawn in a deadly game and discovers more about her birthright than she ever wanted to know. Brilliant....just brilliant! Apples' mother returns to her, eleven years after she left all those Christmases ago. Apple wants to know why her mother left. She longs for someone in her life who understands what it's like to be a teenager and she's finding life with her grandmother stifling and restrictive. But when she makes the decision to live with her wayward mother, Apple discovers a secret someone who is more lost than she is. 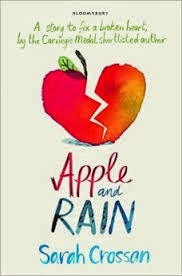 Apple and Rain is another wondrous offering from Sarah Crossan. Written with a depth of voice and quality, this is a truly memorable book dealing with difficult issues in a way that is sympathetic and genuine. It is a story about beginnings and endings...and how to heal a broken heart. I'm going to stop now. I could go on for several pages, but these will do to give you my highlights. I hope there is something here for everyone. 2015 is promising wondrous journeys in the world of childrens' books.....I better hop on board now. Don't want to miss this train!